I feel extremely fortunate to have graduated from college and landed my job when I did. It always gets me when the pundits talk about how the “economy” is growing because the stock market is doing well. Maybe so, but that growth certainly isn’t “trickling down” very far. This article is worth a look. Maligned as a bunch of shiftless, tech-addled children raised to think they’d all get trophies, Millennials are trying to build careers out of the ruins of a job market. Amid a group that’s supposed to be a bunch of entitled kids, all I see around me are young people juggling multiple jobs and unpaid internships while trying to blot their trigger warning! student debt from their minds. via Millenials Aren’t Lazy: They’re Fucked | Matt Bors. 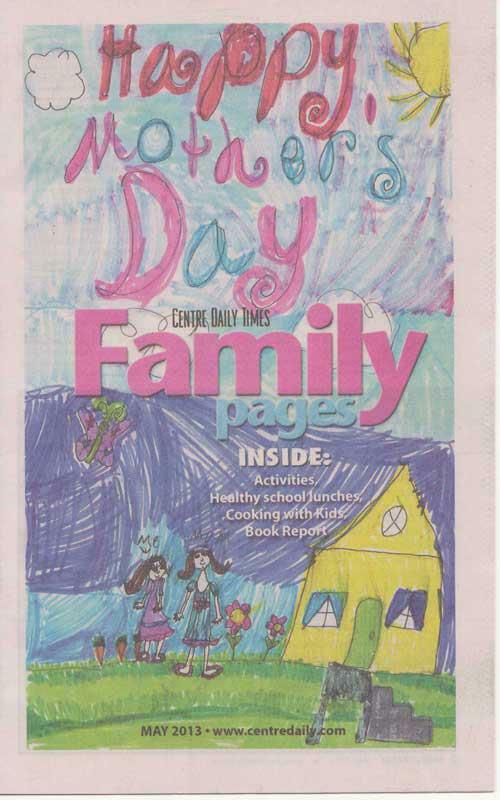 My daughter’s drawing was picked for the cover of our local newspaper’s Family Pages. The theme for this month’s issue was Mother’s Day. She was really excited to be chosen and I thought she did a cute job with her drawing. Speaking of my daughter, she celebrated her 7th birthday with a sleepover party Saturday night. In my mind, it went well. The last three stragglers, including my daughter, wound up finally falling asleep at 10:30 PM, which I think is pretty decent for seven giggling little girls. What finally calmed down them down were the comic books we had picked up earlier in the day for Free Comic Book day, which was awesome as always. My favorite was the Kaboom! Studios Summer Blast, which featured a story from Adventure Time #10. I didn’t really sleep that much the night of the sleepover, though. I slept upstairs but was in earshot of the party, just in case. So yeah, we’re all feeling a bit zombie-ish today still.